And we are ready for TAKE OFF! The latest in shopping centre sanity spaces has landed at Box Hill Central. This is an intergalactic themed playground and digital space where little legs can have a run-around after Mamma has dragged them around the shops. 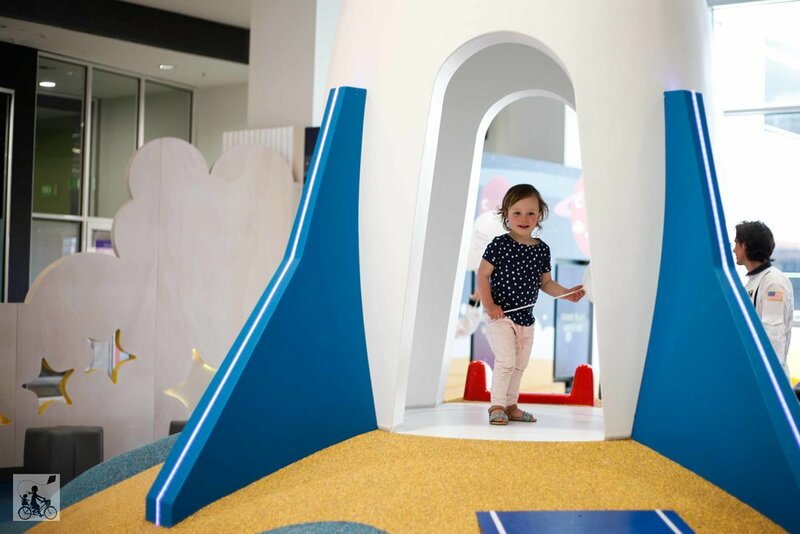 The biggest and most popular structure is the rocket ship slide, closely followed by the high tech - virtual touchscreens where the kids become junior astronauts on space missions. Plus there is plenty of room to just chill out including a reading zone, stacked with kids books and beanbags. Mamma knows this is going to be a super popular spot especially because the entire zone is FENCED! I repeat - Completely FENCED! The playspace is located next to the fancy new food court with a great long community table with kid sized chairs and inbuilt touch screen games. 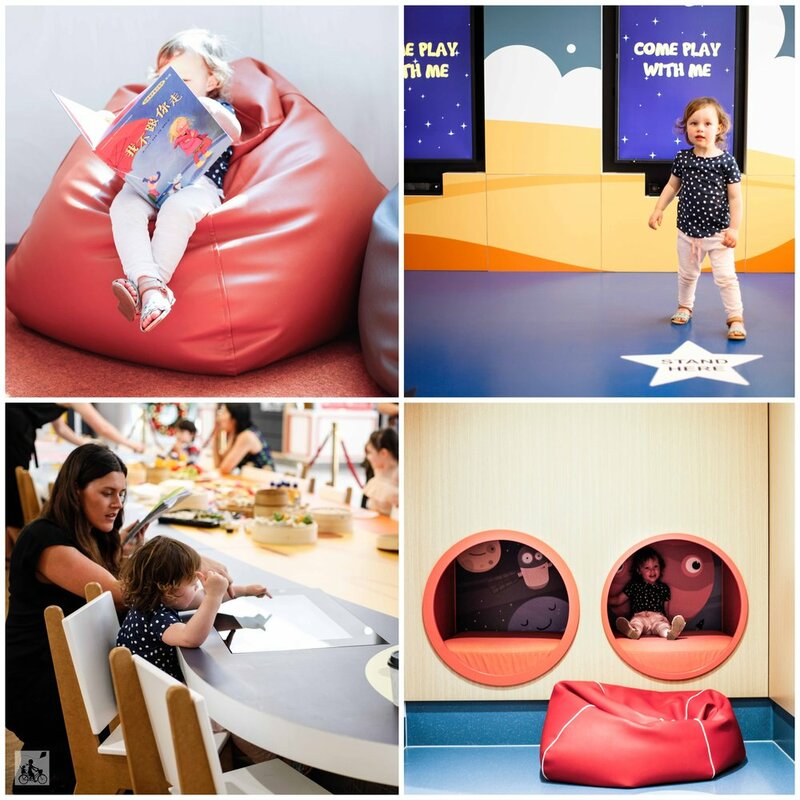 Mamma's special mention: The parent room is JUST as fabulous, continuing the space theme and even feature some cubby holes that you will need to drag the kids away from!